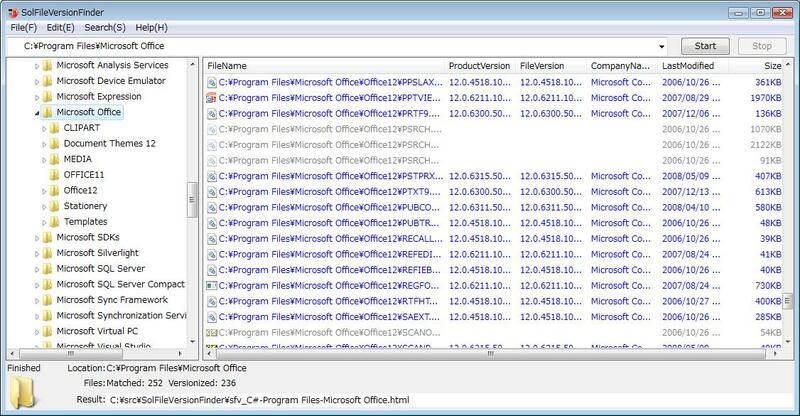 SolFileVersionFinder is a simple Windows application to find applications or files(*.exe, *.dll, *.ocx, *.sys) versionized by a Windows version resource. SolFileVersionFinder can be used to confirm a correct version of a software product to be delivered and installed to your customers. See Figure 1. 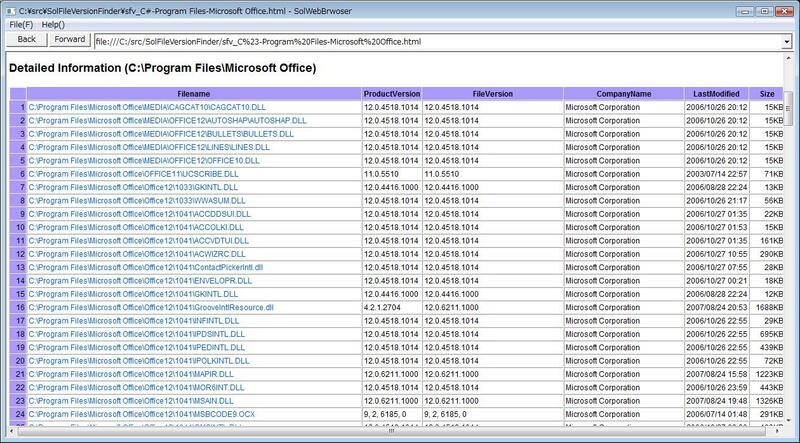 2009/10/07: Modified to show 'File Properites' for a selected file in the listview. 1. 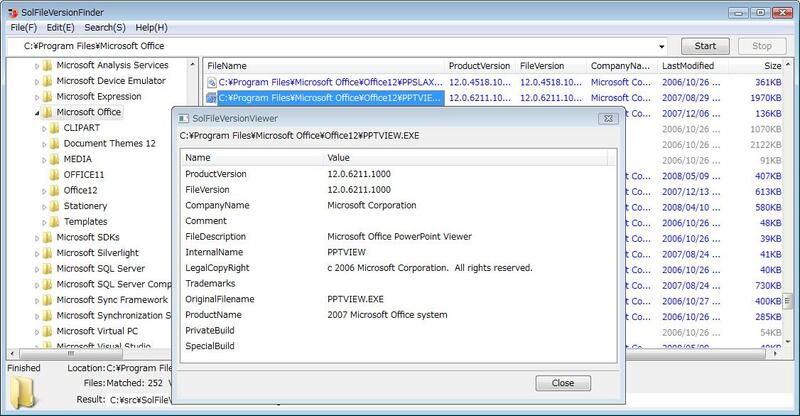 Run SolFileVersionFinder program on your desktop, then a Windows Explorer like window will be displayed. See Figure 1. 3. To start a search of files(*.exe, *.dll, *.ocx, *.sys), click [Start] button on the upper right of the the window. file version will be displayed. See Figure 2.